Saturday’s Sparks Energy 300 will mark Cole Custer’s third Xfinity Series start at Talladega (Ala.) Superspeedway. Custer is competing for his seventh consecutive top-10 finish of the season. He ranks second in the series in top-10s this season. Custer leads the Xfinity Series with an average starting position of 5.1. No Monster Energy NASCAR Cup Series drivers are eligible to race in the Sparks Energy 300 Xfinity Series race at Talladega. Custer’s best finish in the seven Xfinity Series races run this season is his fourth-place result at Texas Motor Speedway in Fort Worth. Custer has one win, nine top-five finishes, 27 top-10s and has led 350 laps in 46 career Xfinity Series starts. Custer is sixth in the Xfinity Series driver standings with 181 points, 47 behind leader Elliot Sadler. 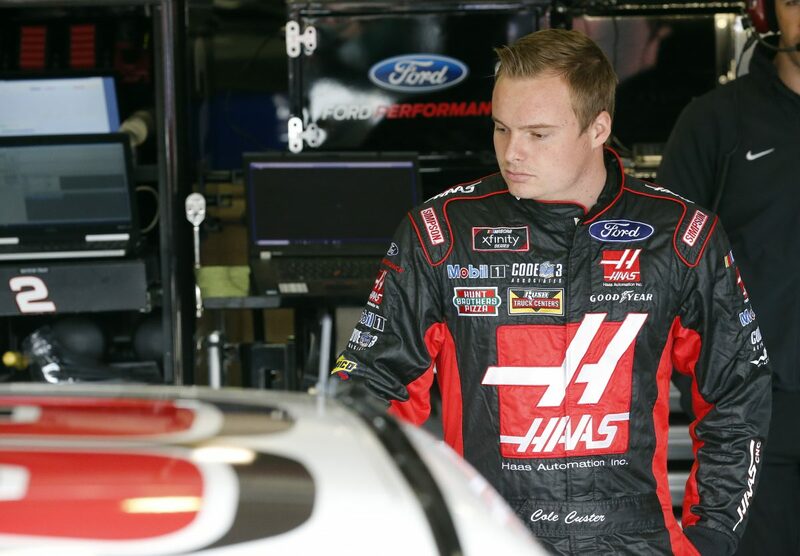 Custer will be joined by Stewart-Haas Racing (SHR) teammate Chase Briscoe in the No. 98 Ford Performance Ford Mustang. Custer has earned two consecutive pole awards, six consecutive top-10s, one top-five and has led 48 laps thus far in the 2018 season. Last weekend at Richmond (Va.) Raceway, Custer led the first 43 laps of the Richmond 250 and finished sixth. The top-four finishers in last weekend’s Richmond 250 are eligible for the Dash 4 Cash at Talladega. The top finisher of the four drivers will win a $100,000 cash prize. Custer competed in the Dash 4 Cash at Bristol but was two positions short in Richmond to qualify this weekend. Custer has competed in six restrictor-plate races – one this season in the Xfinity Series at Daytona (Fla.) International Speedway and two last year at Daytona and Talladega. He also competed once at each track in the Camping World Truck Series and once at Daytona in the ARCA Series. His best Truck Series finish was 24th at Daytona and his best ARCA finish was 10th at Daytona. Do you enjoy close-quarter superspeedway racing? How do you position yourself for success at Talladega? Have you grown in your ability to draft and pack race with the Xfinity Series cars since last year? What are your thoughts and expectations on racing at Talladega? What does the car need to perform to the highest standard at Talladega?